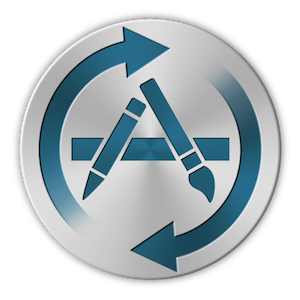 • Problems with many some updates. • Problem with Spotify beta versions showing up. • Updates for Firefox ESR & Chrome's Beta or Dev variants. 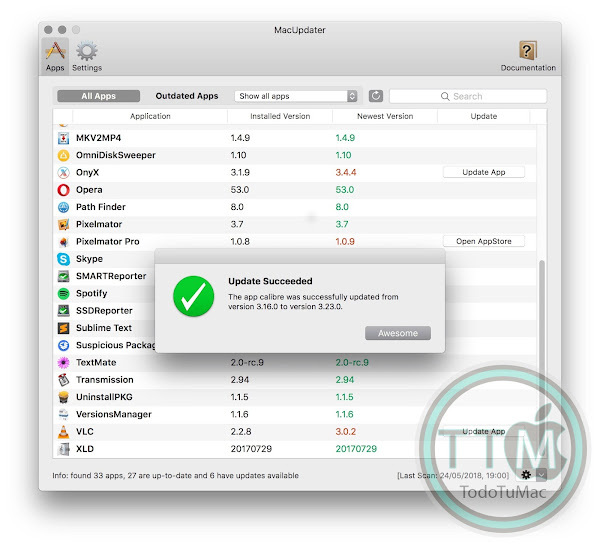 • Updates of 'Onyx' on macOS 10.14 'Mojave'. 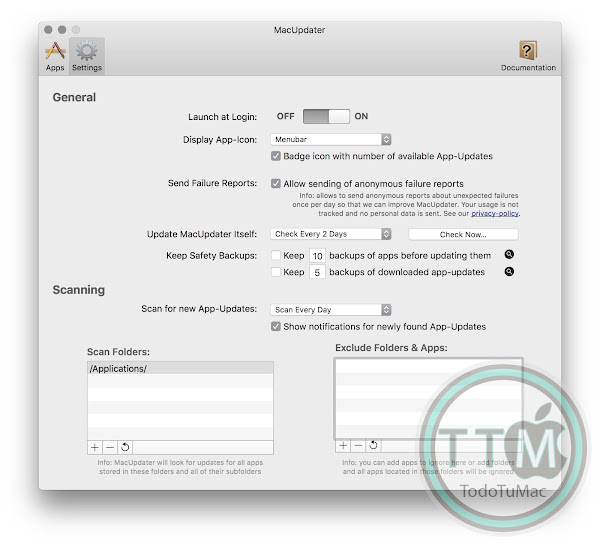 • Added option to menu in menubar to start a manual scan of your apps. 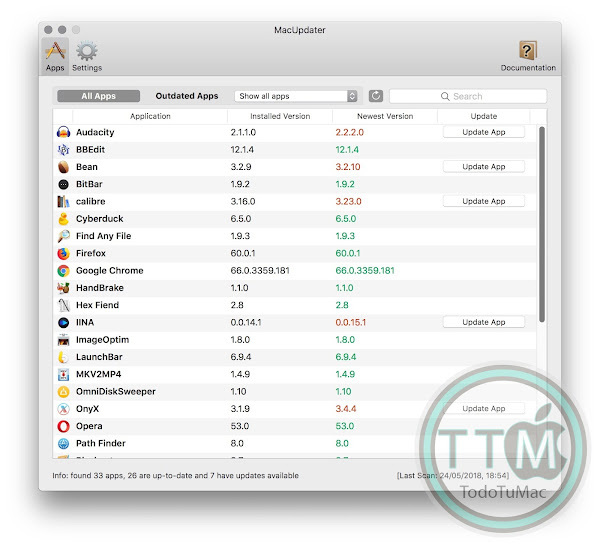 • Correctly show upgrades to other apps in the Mac App Store with lower version numbers.